The company adds a marketing director and veterinary channel representative. 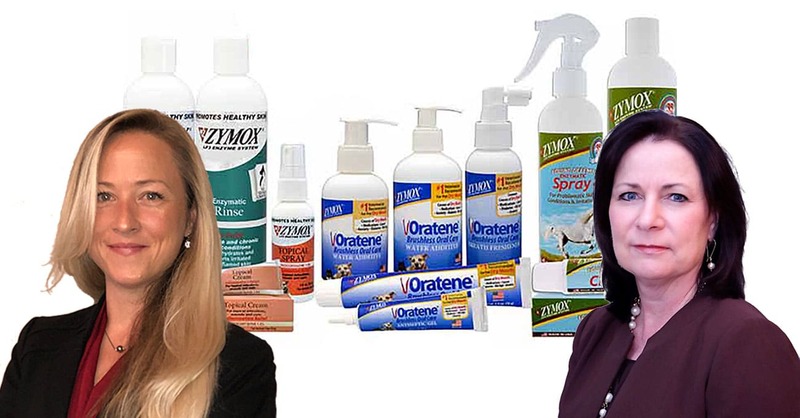 Pet King Brands Inc., the maker of Zymox skin care and Oratene brushless oral care products, has created two more jobs: director of marketing and veterinary channel business development manager. The company in January 2019 celebrated 20 years in business and in February announced the hiring of Debra Decker as marketing chief and Michaela Kosmis as the veterinary channel manager. “Pet King Brands’ growth pattern has necessitated the addition of these two talented women,” said the Chicago company’s founder and president, Pamela K. Bosco. The company’s initial line, Zymox, is formulated to manage pet ear infections. The patented LP3 Enzyme System is used in ear products, skin topicals, shampoos and conditioning rinses, and brushless oral care products. Zymox and Oratene products are sold through veterinarian practices, pet specialty stores and online retailers.